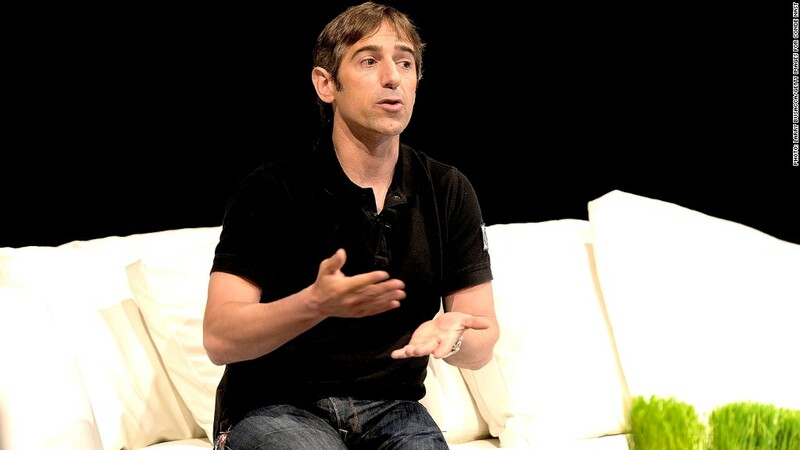 Zynga founder Mark Pincus is out as CEO. The king of virtual cows has left the building. Zynga CEO and founder Mark Pincus is stepping down after a year full of layoffs, shuttered games and an ill-fated acquisition. Don Mattrick, the former head of Microsoft's (MSFT) Xbox and gaming division, will take over as Zynga chief. Pincus wasn't pushed out -- according to regulatory filings, he controlled 61% of the company's voting power at the end of March. "I've always said ... that if I could find someone who could do a better job as our CEO I'd do all I could to recruit and bring that person in," Pincus said in a company blog post. "I'm confident that Don is that leader." Mattrick, a 30-year veteran of the gaming industry, helped develop major Electronic Arts (EA)video game franchises like "FIFA" and "The Sims." Shares of Zynga jumped 11% in regular trade Monday, on an AllThingsD published a report published before the news was official. As such a large shareholder, Pincus will likely remain involved in the company's decisions. He'll also keep his roles as Zynga's chairman and chief product officer. But it's the end of his reign at the helm of the company he helped create in 2007. For months it's been clear that Zynga is in trouble, left scrambling after a raft of its social games underperformed. Just last month, Zynga laid off 18% of its workforce and shuttered three offices in an effort to stabilize finances. The June bloodbath followed a 5% headcount reduction in October 2012, when Zynga also announced it would shutter about a dozen games. Several more have folded since then after failing to take off with players. It's been a rough ride for Zynga since the company's December 2011 IPO. Skeptical investors sent shares plummeting through 2012 after bad news on game performance. Zynga didn't help its public image by buying "Draw Something" maker OMGPOP, which proved to be a costly mistake after the game's faddy popularity wore off. Zynga (ZNGA) has fallen a long way since its buzzy startup days. Games like FarmVille took off in part through spamming Facebook users' pages in Zynga's early years, in an attempt to gain new gamers and monetize existing ones. The constant notifications ("Start biting chumps!" read a particularly prevalent Vampire Wars message) Facebook (FB) decided to expressly prohibit the practice in early 2010. Zynga straightened up after the crackdown. Those casual social games haven't been enough to keep Zynga afloat. Investors are hopeful that the thawing climate for legal gambling -- with real money -- in the United States could pay off for Zynga. In December, Zynga filed an application for a gaming license in Nevada. Zynga had previously announced a partnership with bwin.party, a British gaming company that specializes in online sports betting, poker and bingo.